Nittany Lions (9-9, 2-0 NEAC). hard of hearing basketball players? His funeral took place yesterday. Terry was very strict coach with discipline. MSD lost to Perry Hall Christian School, 17-2.
at Avoca (high school coed). MSD lost to Mercersburg Academy JV baseball team, 2-10. TSD lost to John Paul II 13-17. TSD Baseball record is 2-9.
teams with 2 teams pending. 27 men’s teams in two separate USADB divisions. and raising money for the team through Mighty Cause. the trip, the Bison will volunteer with Costa Rica’s Special Olympics. 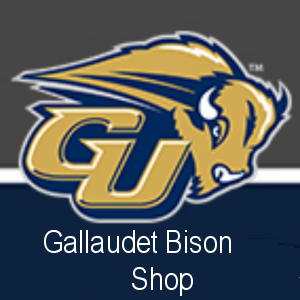 coachKevin Kovacs at kevin.kovacs@gallaudet.edu or 202.559.0438.
at Purcell on Tuesday, April 2nd. stars – Clyde Nutt, Leon Grant, Don Lyons and others. They were the talk of deaf fans when they discuss basketball. How many young people know who they are? Second-year coach Brent Welsch has a nice nucleus. and long jump, Welsch said. Austin Stage (hurdles and relays). The Iowa Deaf assistant coaches are Dan Gradoville and Ashley Villaverde. was listed on the roster but name is not on the stats sheets. Do not know what is going on. Deaflympics and world deaf championships? to a 9-6 win over the NAIA-affiliated Shock (1-5). the game for the Bison. Bison defeated the Shock, 6-5, on March 15 at the GU Softball Complex. (2-3) on Wednesday, March 27, at 3 p.m. for a non-conference doubleheader. national deaf basketball tournament is coming up soon. which players are playing for which teams? which teams represent which cities? plenty of tweets but nary information re above. Next year, same set of complaints! Ice Swimming World Championship last week. Bethany scored six times in the eighth and went on to win 9-8.
out to regain a 3-2 advantage. (Lansdale, Pa.) to tie the game for a second time. (Hongseong, South Korea) had RBI singles in the five-run inning. Bethany answered with a six-run eighth as Gallaudet’s pitching gave out. play against Penn St.-Abington (5-8) on Saturday, March 30, at noon. Classic scheduled for March 22, tonight at the Jacksonville Bowl. Greenfield/Northwestern, and Justin Lawson of White Hall North Greene. Calhoun?s Ryan Graner will coach the South. retiring North Greene coach Brett Berry, will be honored before the game. also at Jacksonville?s County Market and at WLDS-WEAI radio. Directions Heating and Cooling Center. making boys’ and girls’ All-American announcements? complaints from some coaches and athletic directors. Comes with the territory? Yes. feet while stealing a glance. seemingly random pattern of arm and hand motions. all-time against the Mountaineers (3-6-1). meet. Our next track meet will be at Fatima on April 2. 14.5 points, five assists and five rebounds a game.